Expert commercial printing and mailing at FCL Graphics. PEOPLE – Experienced print professionals with an eye for detail. PRESSES – A deep line-up of G7-certified presses and services, all under one roof. PASSION – A commitment to customer satisfaction that is second to none. This proven combination has made FCL Graphics a dedicated commercial printing and mailing partner to companies across the U.S. for more than 40 years. Trust your most important printing to FCL, where a promise made is a promise delivered. Whether you need millions of direct mail pieces, thousands of bound booklets, or a few hundred personalized brochures; our G7-certified, web-offset, sheetfed-offset, and digital presses and pre-press system guarantee you quality, consistency, and efficiency every time. 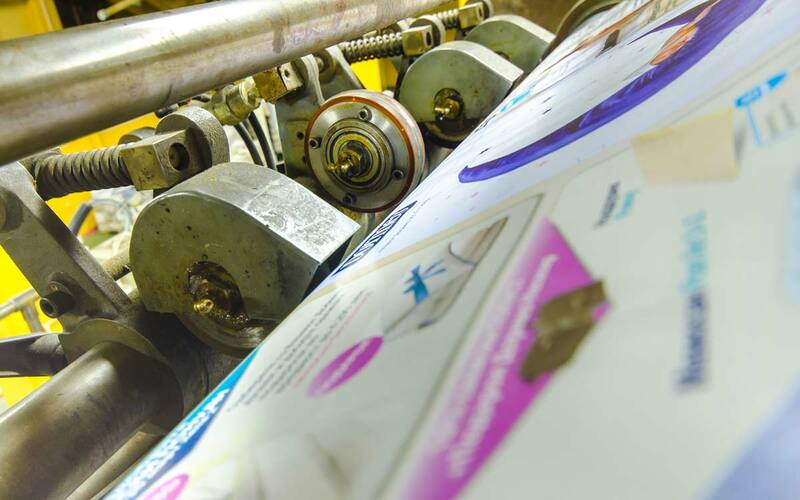 We’ve got what it takes to get your printed materials out the door and on their way to your destination: expert, in-house finishing, customized inkjetting, optimized direct mail for the lowest postal rates and innovative cross media support. Whatever you need, FCL delivers. Experience matters. Check out the work we’ve done, and see what’s possible on your next project.